Congratulations. 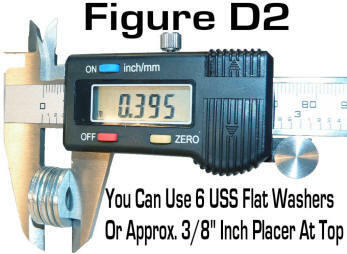 With this purchase, you have remedied the age-old problem of chasing the correct throttle pressure linkages, pivots, and brackets from salvage yards or poor imitations of original parts. 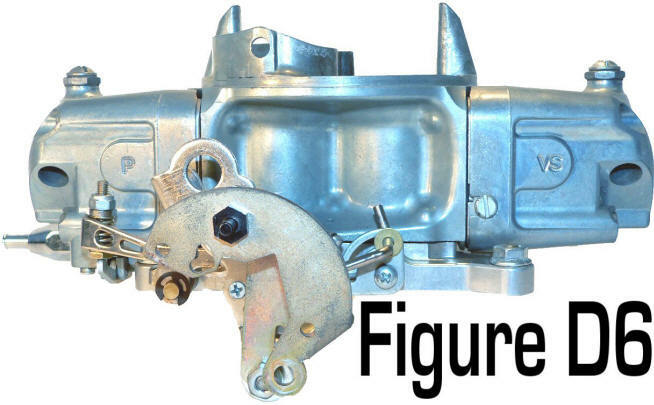 This kit will work on most all Chrysler rear wheel drive vehicles with a Torqueflite transmission from 1962 with just about any carburetor(s) combination. The installation instructions on the following pages will address most all situations as clearly as possible. The installation requires minimal mechanical experience and basic hand tools. Please read the instructions carefully, compare each step with diagrams, and if you do not understand, go back and read it again. NOTE: If transmission has internal problems including slipping, noises, etc., this kit will not cure or improve any shifting qualities. 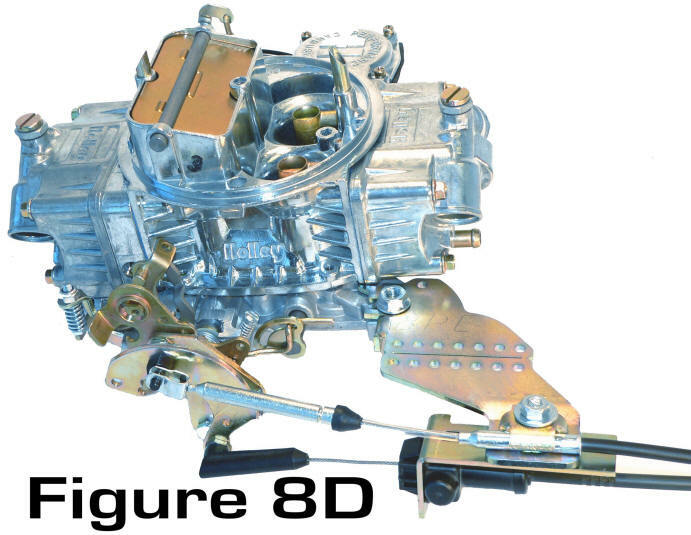 However, on a sound torqueflite in average condition, this kit will provide you the correct throttle pressure to the transmission regardless of engine size, type and number of carburetors, and style of manifold. A. 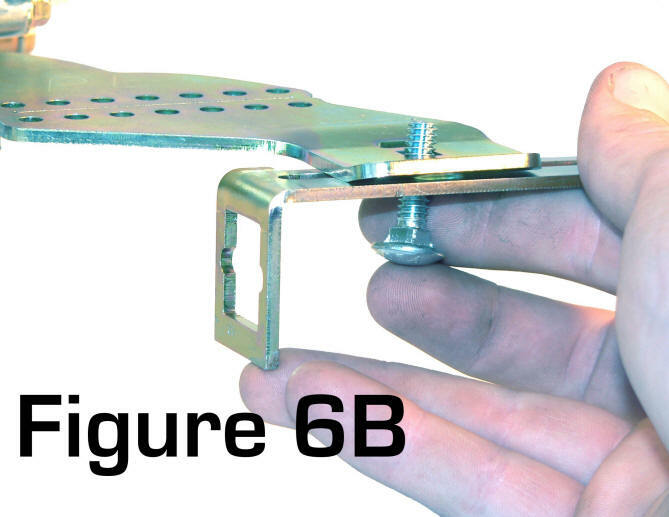 Some form of accelerator cable mounting bracket to intake manifold or utilizing BPE Part # 3395. 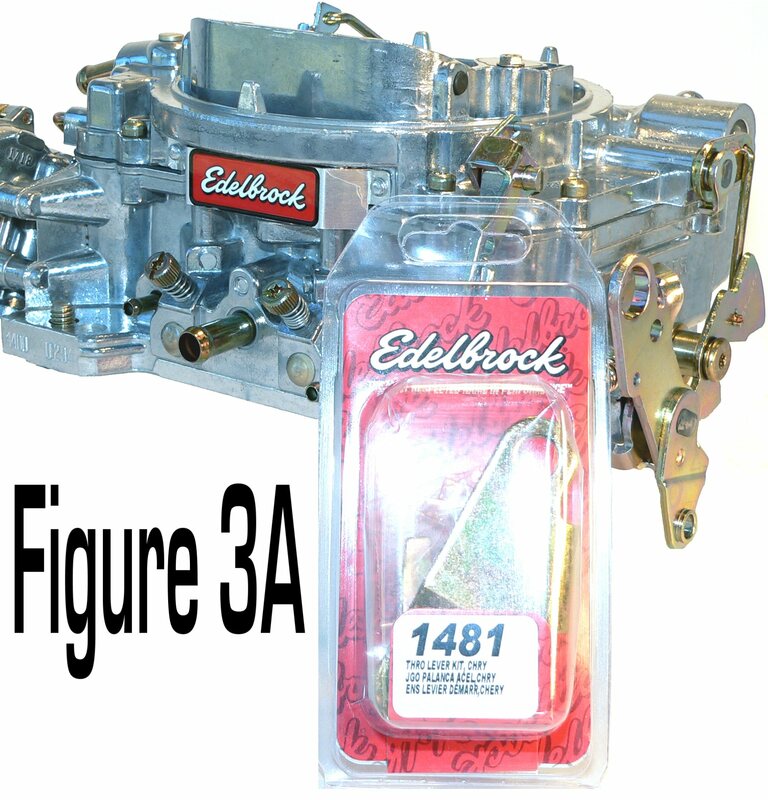 C. Using Edelbrock / Carter aftermarket carburetors must use Edelbrock part # 1481 or Carter part # 3-2087, Chrysler Throttle Lever Adapter Bracket. 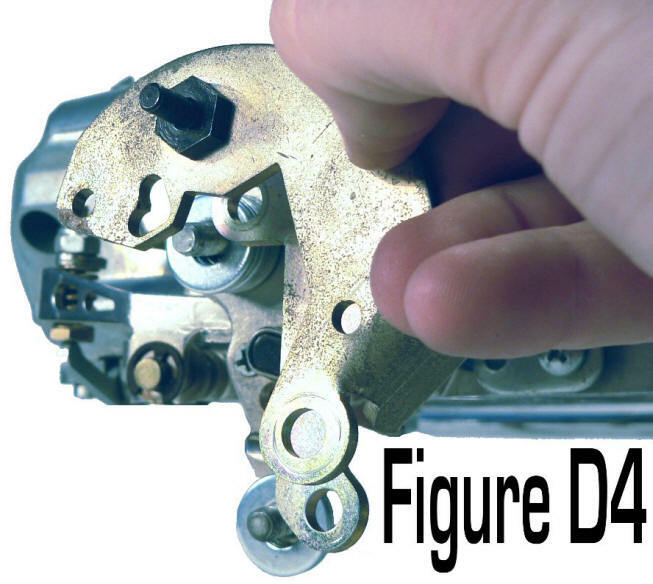 Before beginning, Identify the Manufacture and Style of Your Carburetor(s) on your intake manifold. The instructions will indicate the 4 major differences in throttle levers. Time to install this kit is approx. 1 - 1 1/2 hours. Pay close attention to all the steps. 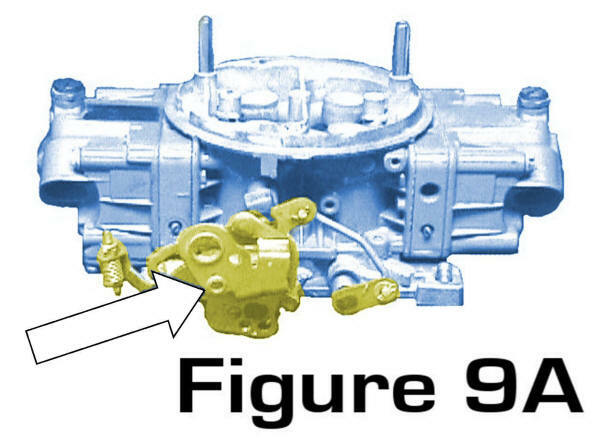 Read all instructions first and familiarize yourself with the parts, terms, and procedures. Work slowly and do not force cable into binding situations. Do Not Start Engine Until Final Checklist is Complete. The vehicle should be off the ground for ease of installation of lower cable and mounting hardware. Make sure the vehicle is firmly supported by Jack Stands!!!! 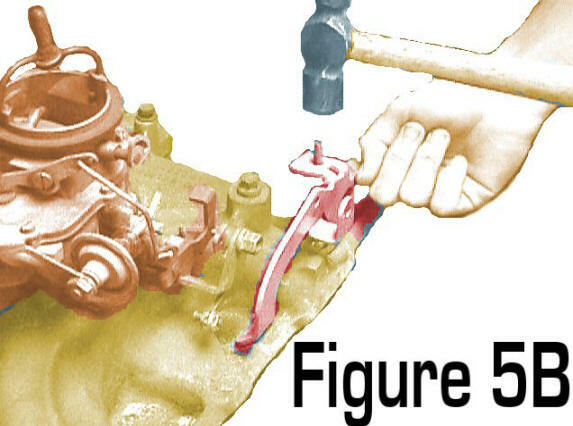 Remove all remaining kickdown linkage, rods, pivots, pivot studs, and throttle valve lever from vehicle. 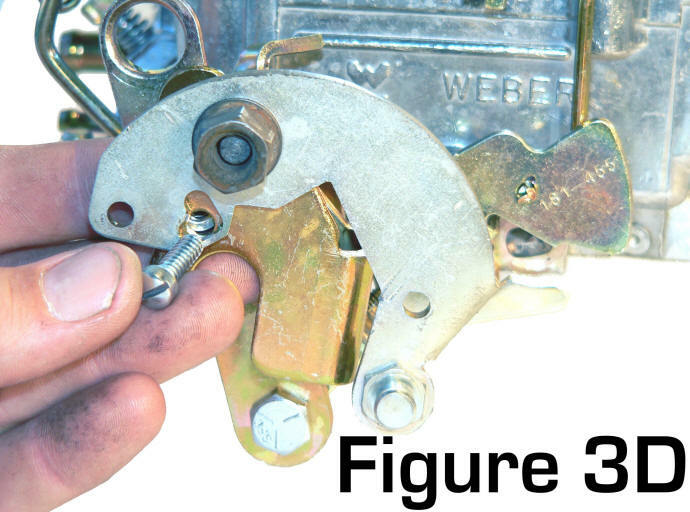 Throttle valve lever at transmission may be removed by loosening pinch bolt at rear of lever (upper lever on '66 and later Torqueflites). Remove O.E. accelerator cable from carburetor. 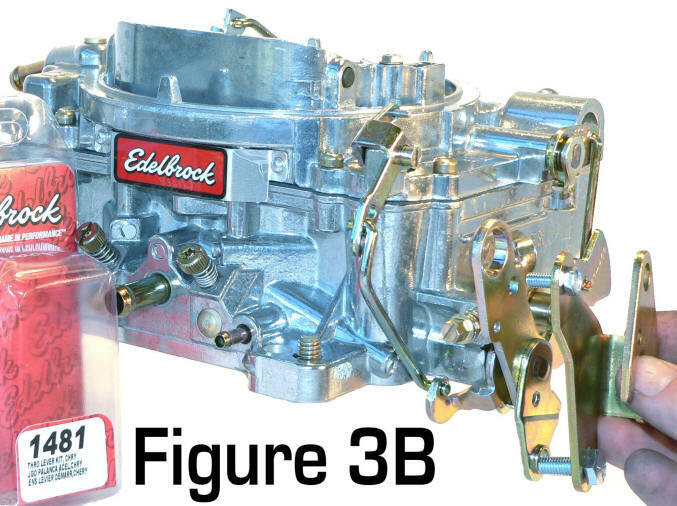 UNIVERSAL CARTER / EDELBROCK CARBS. 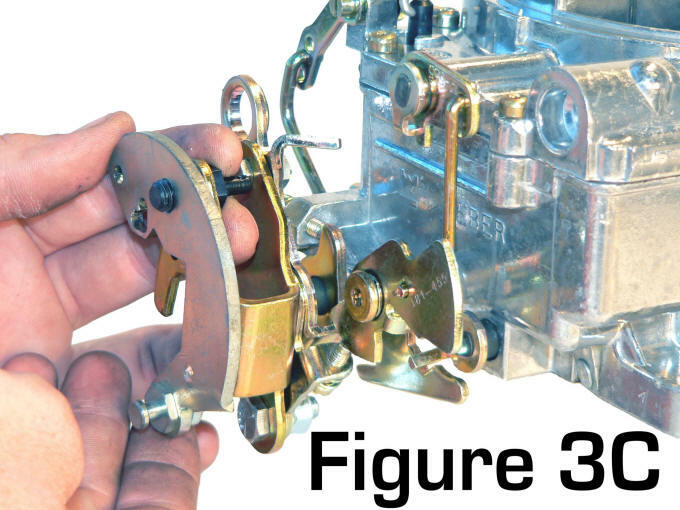 NOTE: Holley Double Pumper / Mechanical Secondary Carburetors -ONLY- Throttle lever on Older double pumper Holleys fall into a totally different application. Correct installation requires THROTTLE LEVER ADAPTER to be cut as O.E. application. (as seen in page before). Enlarge hole indicated by arrow (see Figure 9A) to 5/16". Install O.E. 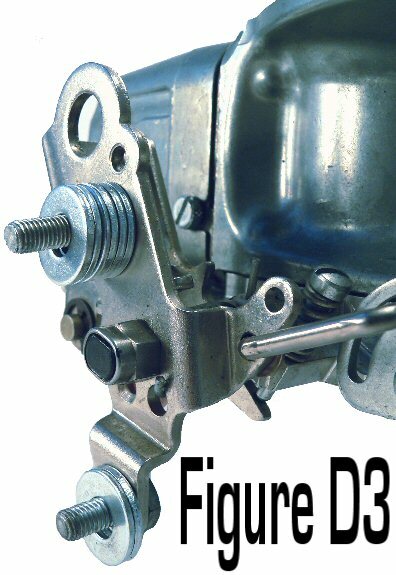 accelerator cable stud & nut through enlarged hole in carburetor lever and THROTTLE LEVER ADAPTER. 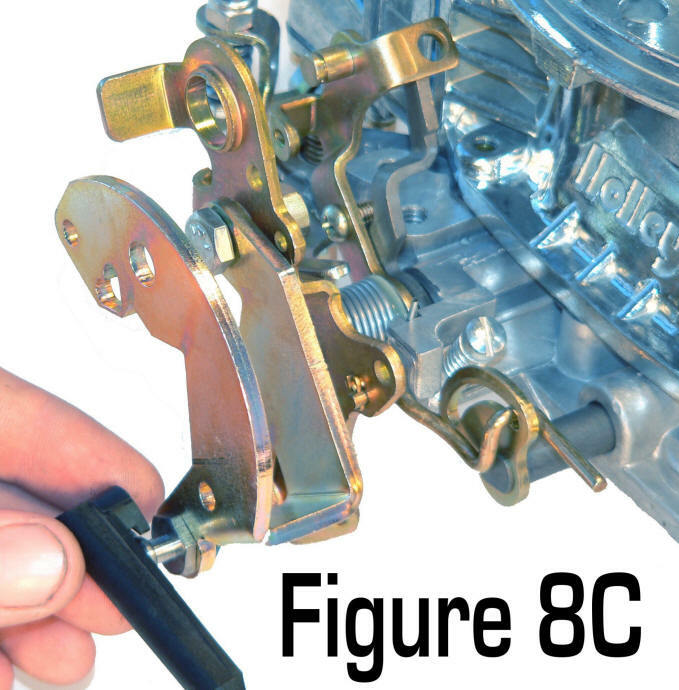 Position THROTTLE LEVER ADAPTER against carburetor throttle lever, as indicated by (see Figure 9B), snug nut. Drill 3/16" hole through THROTTLE LEVER ADAPTER and carburetor throttle lever. 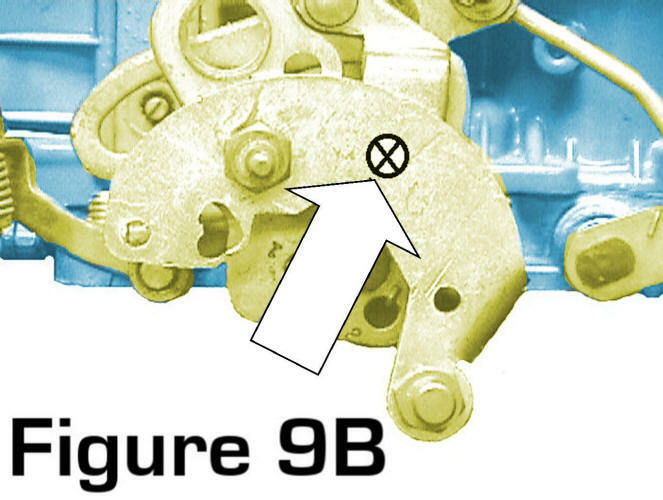 (see Figure 9B) Install SCREW & NUT provided. Stud travel at bottom should be 1 1/8" - 1 1/4". 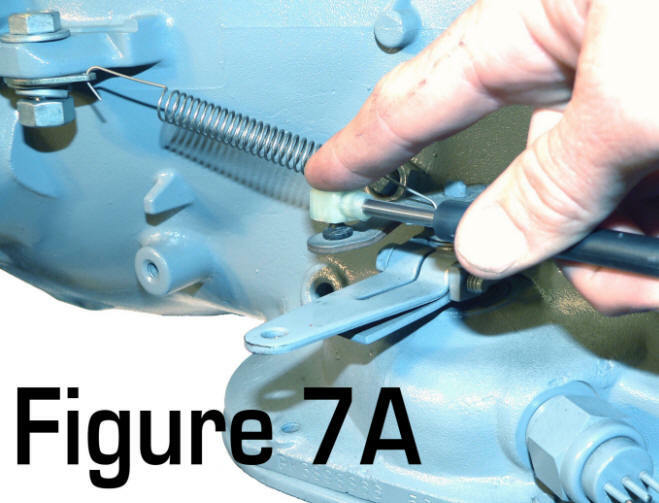 Make sure that your Throttle Lever is absolutely identical to Figure 9A BEFORE Cutting Throttle Bracket! 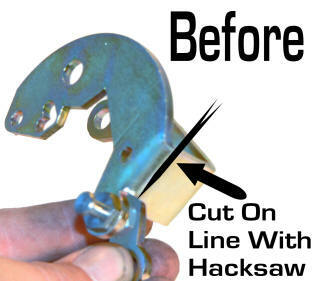 Once You Have Done This & Installed The Bracket. 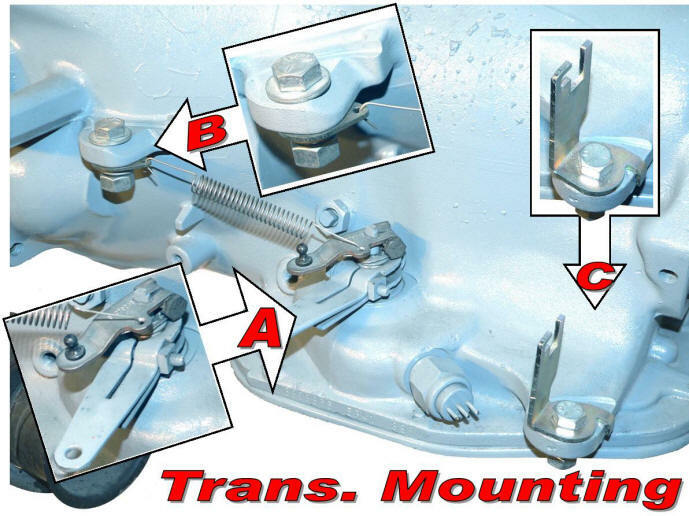 Install Retaining Nuts On Other Side Of Throttle Lever Bracket & Follow Remaining Cable Kit Installation Instructions. 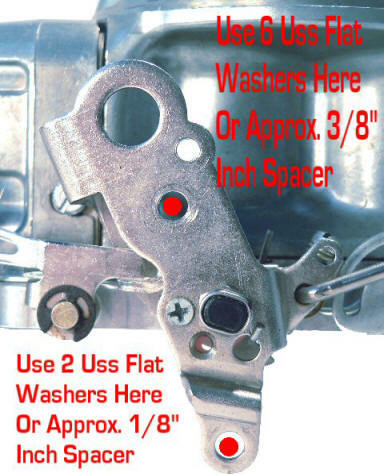 Location A: Install THROTTLE VALVE LEVER (provided in this kit) onto valve body throttle pressure stud. Lever will only install properly (1) way. Tighten pinch bolt on lever. 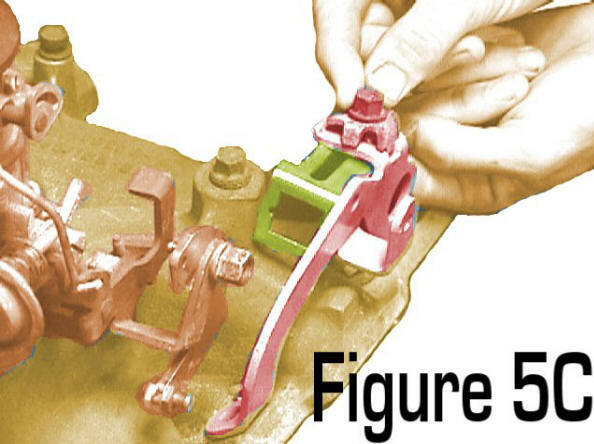 Check movement of lever from front to rear. Location C: Install CABLE BRACKET (TRANS.) onto lower boss with 3/8" x 1 1/4" BOLT, NUT, WASHER, and LOCK WASHER provided. Some aftermarket cable shift, shifters utilize this hole also. When found, enlargement of hole in CABLE BRACKET (TRANS.) may be required. 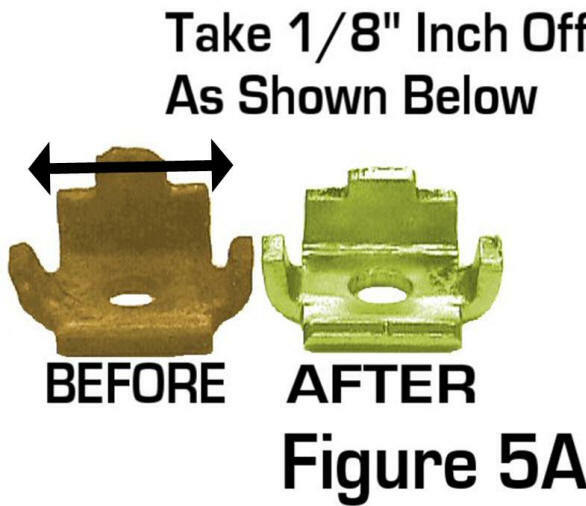 At this time, check floor clearance on installed bracket. Some early A-bodys require slight dimple of floor pan for proper clearance. Note: Make sure at this time cable routing is clear of all obstructions including exhaust pipes and rotating components!! Using cable ties at various points makes installation permanent. Step 3. Route CABLE onto top of main transmission case, by looping towards passenger side and following centerline of transmission case. Feed loose end of CABLE between back of engine and firewall, making CABLE (CARB. END) accessible from top of engine. Step 5. Make sure choke is wide open and fast idle cam is released to hot idle position. Pull back on O.E. accelerator cable and THROTTLE PRESSURE CABLE ASSEMBLY to remove slack from both cables. 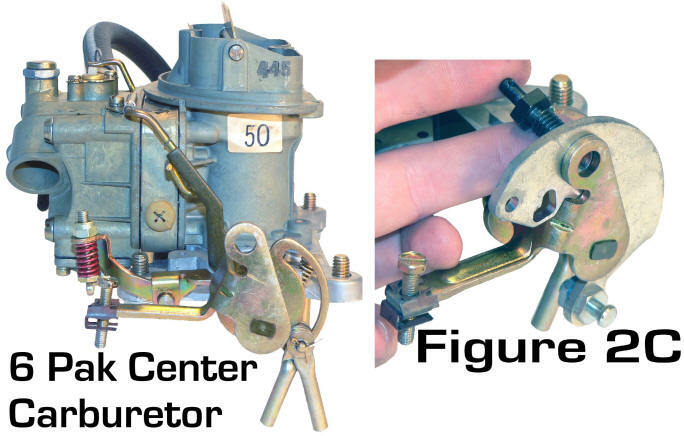 Test accelerator opening of carburetor from inside and have someone outside inspecting operation of carburetor opening and closing, from idle stop to wide open throttle. 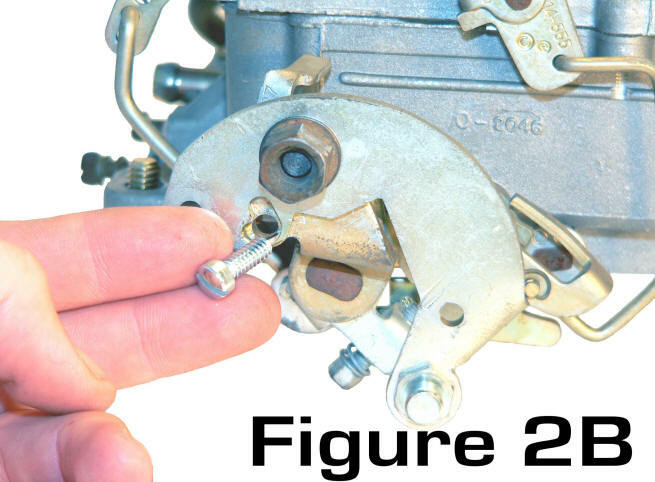 Manually open carburetor throttle lever and examine throttle valve lever. 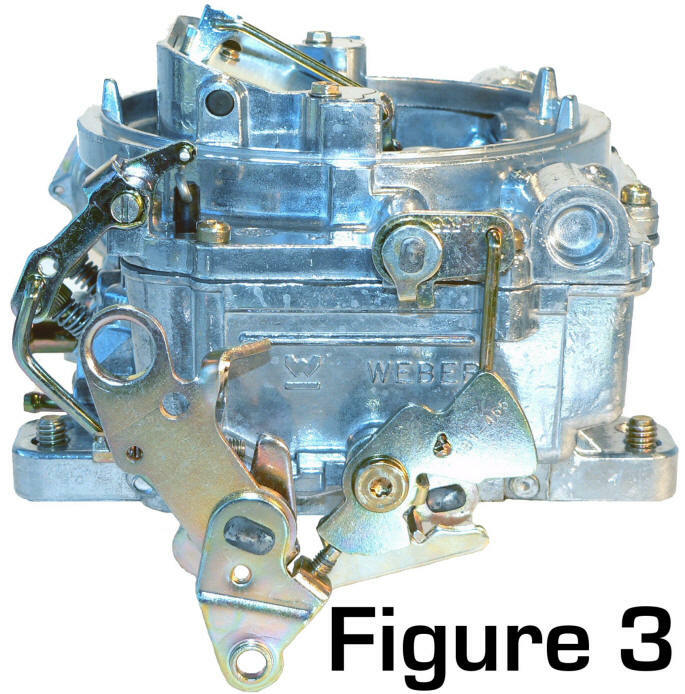 At wide open throttle, THROTTLE VALVE LEVER on transmission must move rearward against stop. 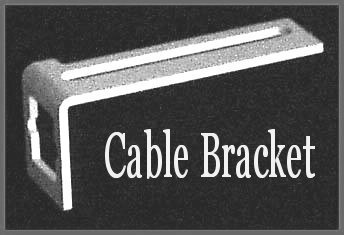 There is generally plenty of adjustment at the CABLE BRACKET (CARB.) to achieve this condition. If more adjustment is required, depressing button on upper CABLE END will allow ample improvement. 1. 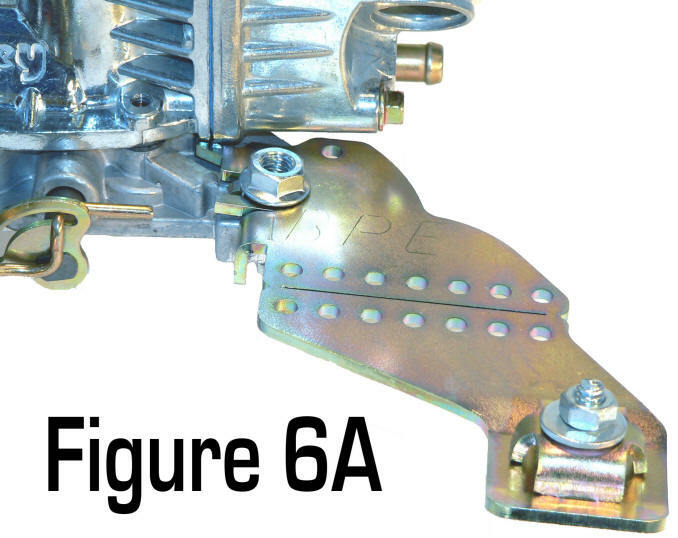 When THROTTLE LEVER ADAPTER is installed properly on carburetor, the CABLE ATTACHING STUD will have a total travel between 1 1/8" and 1 1/4" from curb idle to wide open throttle. 2. Modifications to some O.E. accelerator brackets may be required. Both accelerator cable and throttle pressure cable work best when both cables are straight, parallel, and mounted on top of each other. 3. Some applications such as pre-67 O.E. 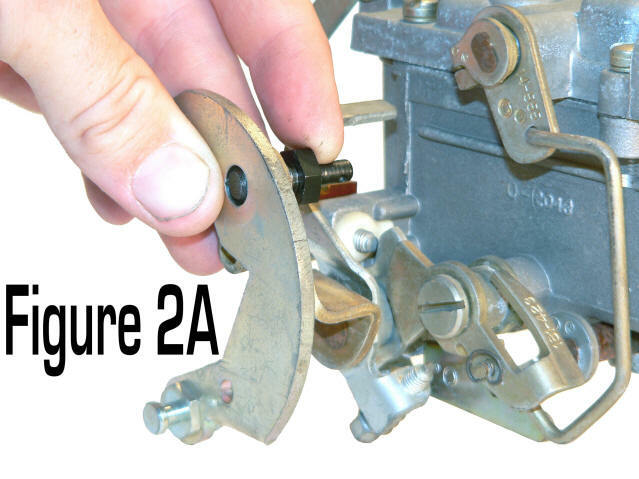 carburetors, and many numerous applications too lengthy to list may also use this system as long as Overview #1 and #2 are kept in mind during installation. 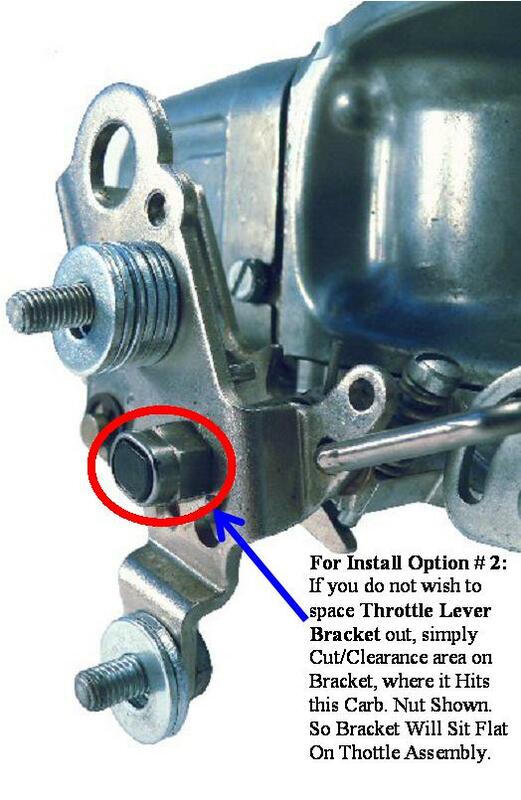 THROTTLE LEVER ADAPTER may be installed on original throttle lever with O.E. accelerator cable stud and drilling a 3/16" hole through throttle lever of carb. 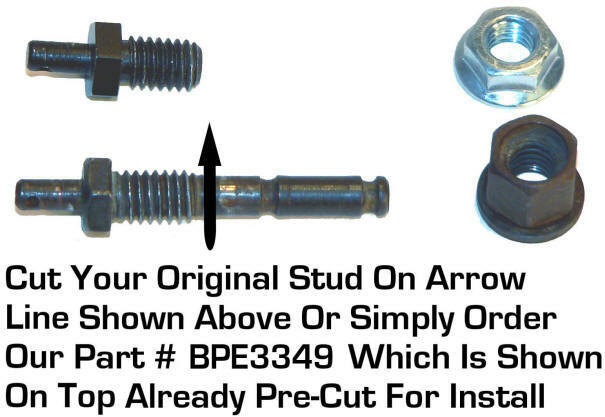 to correspond with heart shaped hole in THROTTLE LEVER ADAPTER and attach with 3/16" screw and nut provided in the kit. ....All bolts, nuts, studs, and brackets secure and tight? 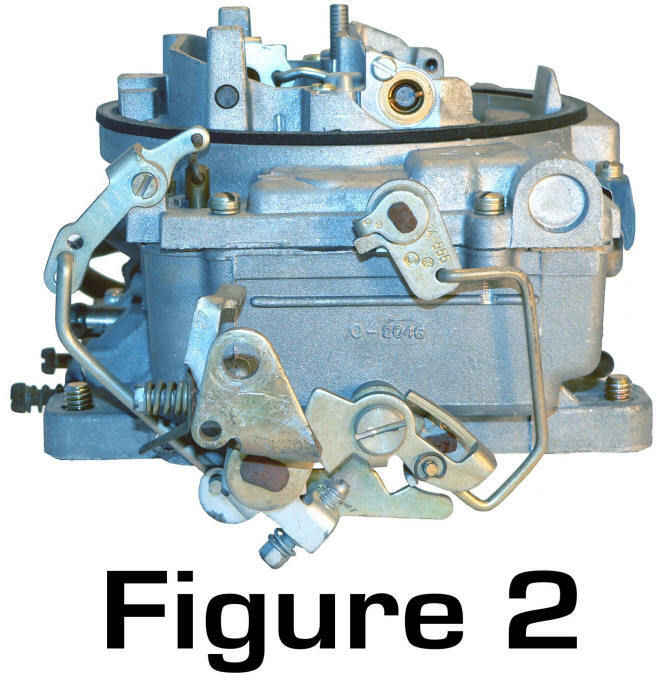 ....Carburetor opens and closes without any binding? ....At idle, throttle valve lever is forward? 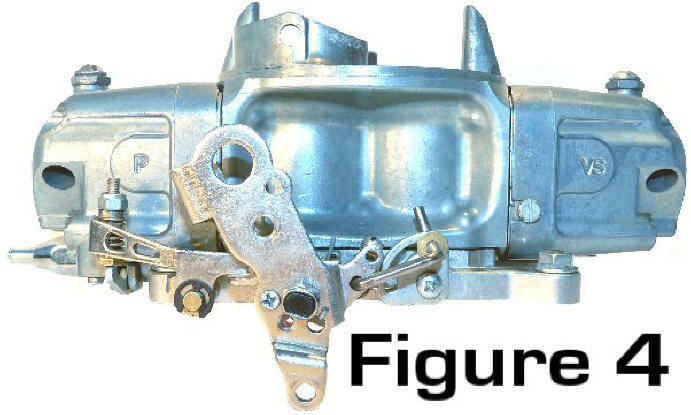 ....Carburetor opens and closes smoothly from inside and outside vehicle? 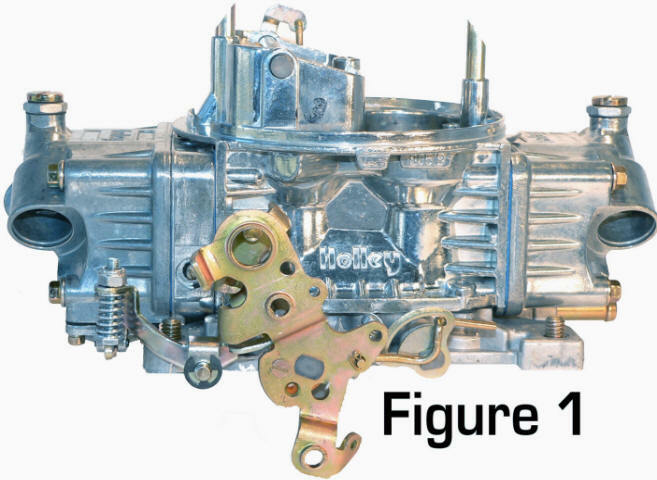 ....Throttle valve lever on transmission is all the way back during wide open throttle? ....Cable is routed to clear exhaust and rotating components? 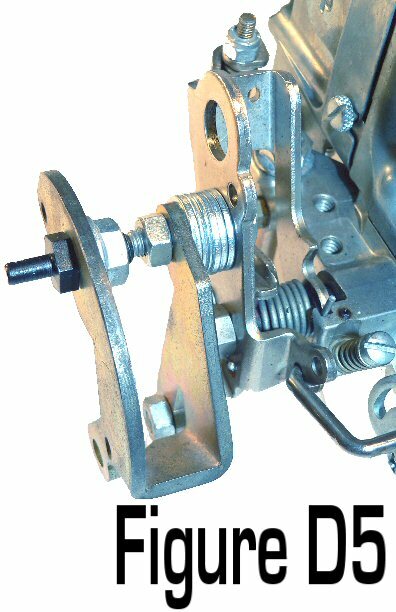 ....Throttle valve lever at transmission has full travel of motion, viewing from under vehicle while carburetor is opened and closed? 1. If kit was originally installed on an O.E. 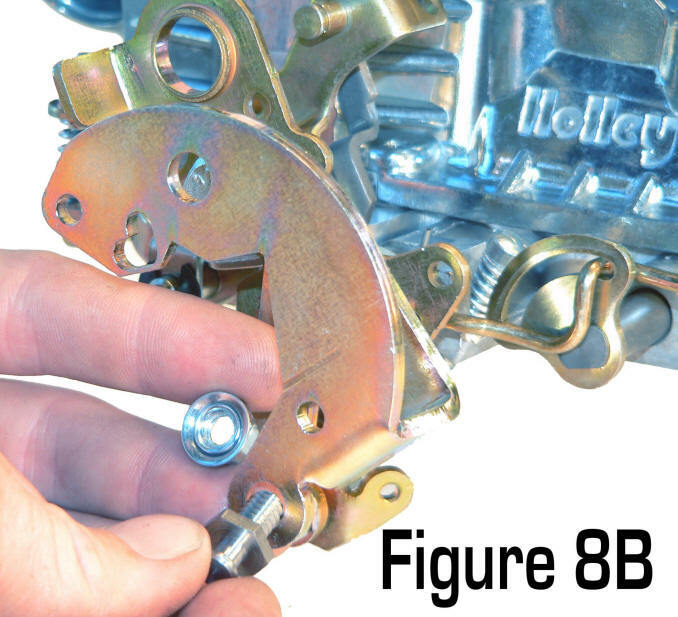 or Carter / Edelbrock Carburetor and THROTTLE LEVER ADAPTER was cut, it can be reinstalled onto Universal Holley by purchasing Holley part # 20-7. 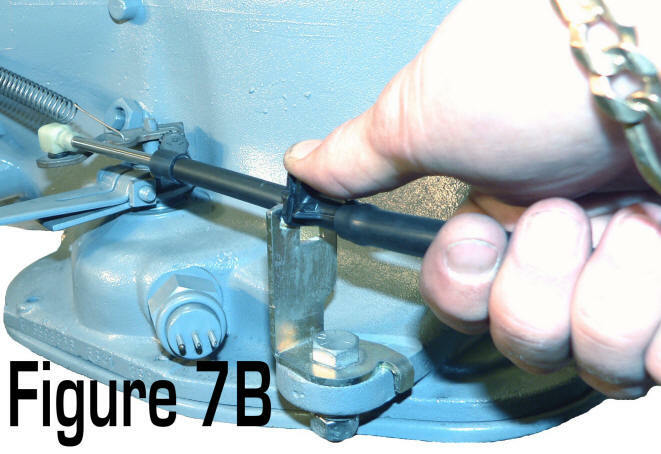 Align & drill part # 20-7 using existing hole in THROTTLE LEVER ADAPTER. Install Screw & Nut provided. 2. Accelerator Cables have been found, in a lot of 2bl. to 4bl. change overs, to be too short. Replace with 225 6 cyl. version for your application or call us. We offer 2 extra long cables. One has the square plastic end through firewall, BPE part # CA8408. 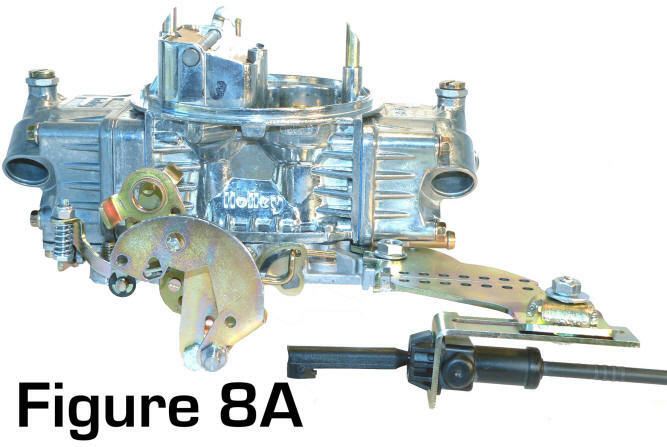 The other has the round hole held through firewall with an E-clip, BPE part # CA8418. 3. Many applications with 4bl. 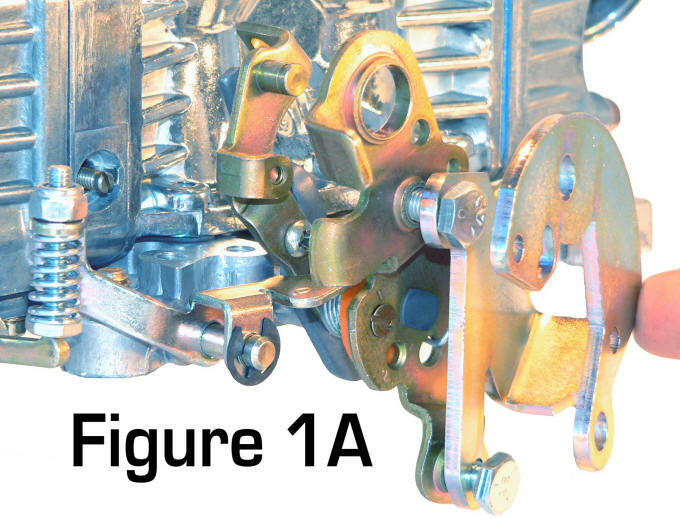 carburetors installed have incorrect or wrong accelerator cable brackets (due to going from 2bl. to 4bl., or taller than stock intake manifold). 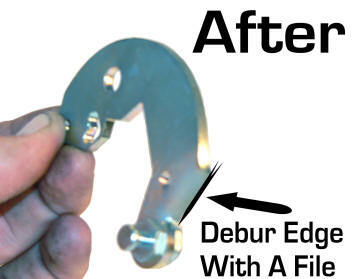 We recommend a NEW Accelerator Cable Mounting Bracket that installs on the mounting bolt at the rear of the carburetor. It installs the accelerator cable in the correct location and position for all one or two 4bl. applications. It works great with manual transmissions and is a perfect compliment to our Kickdown Cable Kit. It cleans up the intake appearance and gives your engine compartment that state of the art look. 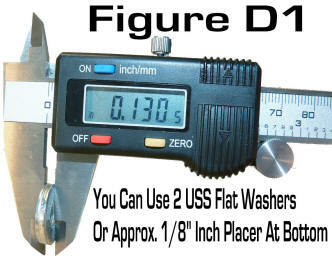 "For Holleys, Carters, Edelbrock, Demon, Claw Carburetors, ALL 4 bl. Carbs, Basically Any 4 bl. Carburetor/Intake Combo You Can Come Up With!"